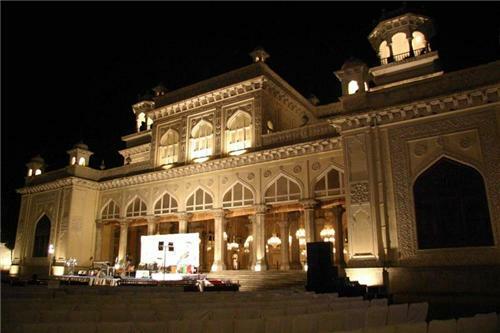 Purani Haveli or 'Haveli Khadeem' in Hyderabad is the palace where the Nizams resided. Literally meaning 'old quarters', Purani Haveli stands as a witness to the history of Hyderabad state towards the south-east of Afzalgunj bridge near Dewandevdi, Hyderabad. It is located behind Salarjung Museum in old city. The lane next to Princess Durru Shehvar Hospital leads you to the haveli. Photography is allowed here. You have to buy a separate ticket for taking your camera along. Purani Haveli was supposed to serve as residence of Mir Momen, Peshwa (Prime Minister) of Mohammad Quli Qutub Shah. Mir Nizam Ali Khan, the II Nizam, acquired it from Rukunudhaulah (Momin Dynasty) in 1717. Around 1777, Ali Khan Bahadur, Asaf Jah II further built it for his son Sikander Jah, Asaf Jah III (1803-1829) who inhabited in this haveli for a brief period. Later, he shifted to Khilwat Mahal in Chow Mohalla on becoming the III Nizam. Thereafter, this building was called 'Purani Haveli'. 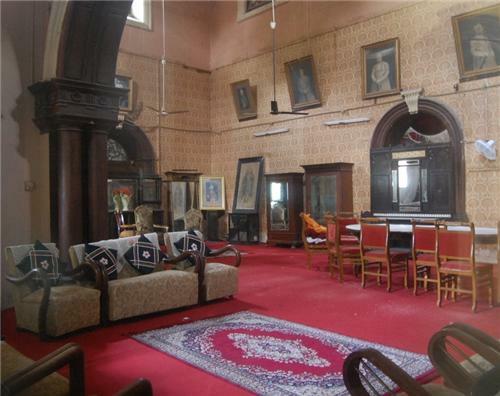 However, years later, Nawab Mir Ali Mahboob Khan, the VI Nizam, made Purani Haveli his official residence. Purani Haveli symbolizes European architecture beautifully synthesized with Hindu and Islamic motifs and forms of the 18th century, with the delightful Mirror House or Ayina Khaana and Chinese House or Chini Khaana. It showcases the architectural sensibilities of the Asaf Jahis. The central building is single storeyed with two double storeyed oblong wings. The entire structure is U shaped and comprises of delightful courtyards, verandas and two annexes. The verandas are deep with semicircular European arches. The Nizam's Museum has various artifacts of the last Nizam displayed well. These include gifts, souvenirs, mementos, vintage cars etc. The library too is well equipped. Antique furniture, tiled walls, mosaic flooring still sing the glory of past splendour. The marble entrance hall and inside the main building, the Italian marble stairs with exquisite marble figures, portraits of British Governor Generals, all add up to make up the charming interiors of the palace. The reception room in Louis XIV style, French tapestries, inlaid Kashmiri furniture and the unique wardrobe which occupies an entire wing of Purani Haveli! It qualifies as the world's longest wardrobe with built-in hand-cranked wooden lift to reach the second level! Clothes of the erstwhile Nizams are still hanging in this wardrobe for the visitors to see. Today, Purani Haveli houses a training Institute along with offices of Muffakham Jah Trust. Women's Education Centre also functions from here. a very nice article and thanks for giving the information. please suggest me some more famous attractions near purani haveli? Hi! Salar Jung Museum, Charminar, Nizam Museum, Chowmahalla Palace, Nehru Zoological Park are some of the famous spots near Purani Haveli. No film shootings have been done here.